Across the western United States, one of the most anticipated hatches of the summer is a medium to small sized mayfly called the Pale Morning Dun. Here in Vail Valley, Pale Morning Duns or PMDs, generate a lot of interest from trout and very good dry fly fishing for anglers on local streams like the Eagle River, Roaring Fork and Colorado River. It is a predictable and dependable hatch. Unlike some mayflies like Blue Winged Olives which prefer to hatch during cloudy, dreary weather, the PMD is happy to emerge on calm, bluebird days when the sun is high. Another benefit of fishing this hatch is the fact that these insects tend to begin their emergence around mid to late morning so there is little chance of missing an early morning or evening PMD dry fly session. The hatch generally lasts several hours and winds down late in the afternoon. The PMD hatch becomes significant after high spring runoff has subsided and water temperatures climb into the middle to high fifties. The actual date of emergence tends to vary by river in the Vail Area. Water temperatures are often warmer earlier in the summer on the Colorado River so we may see PMDs there by mid-June. On The Eagle and Roaring Fork PMDs usually begin showing in earnest around early to mid-July. The hatch tends to last perhaps a month or more with the best fishing during the first couple of weeks when numbers are the heaviest. 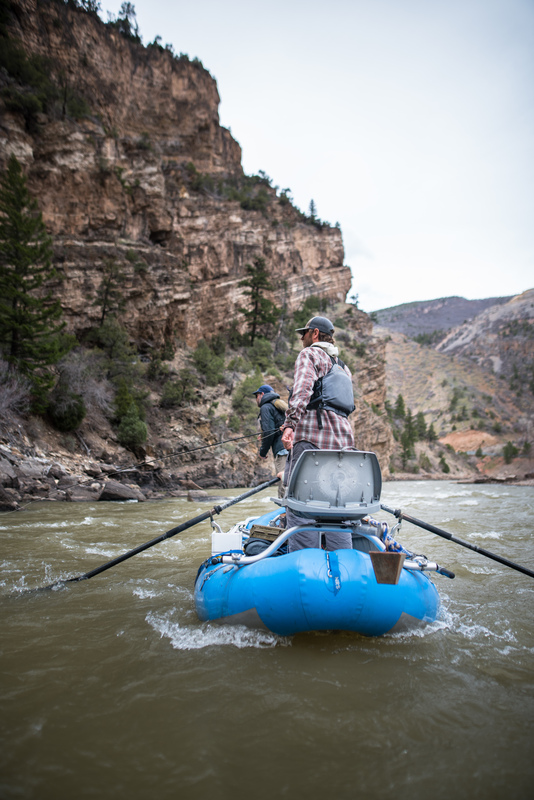 On some tailwaters like the Yampa or Pan, colder water flows extend the hatch into early fall. Color and size can vary greatly with this insect depending on location and river. Our central Colorado PMDs tend to run a pinkish, orange color with yellow tinges while elsewhere the pale morning dun will match its name and is a pale shade of yellow. At the beginning of the hatch, PMDs are about a size 16. 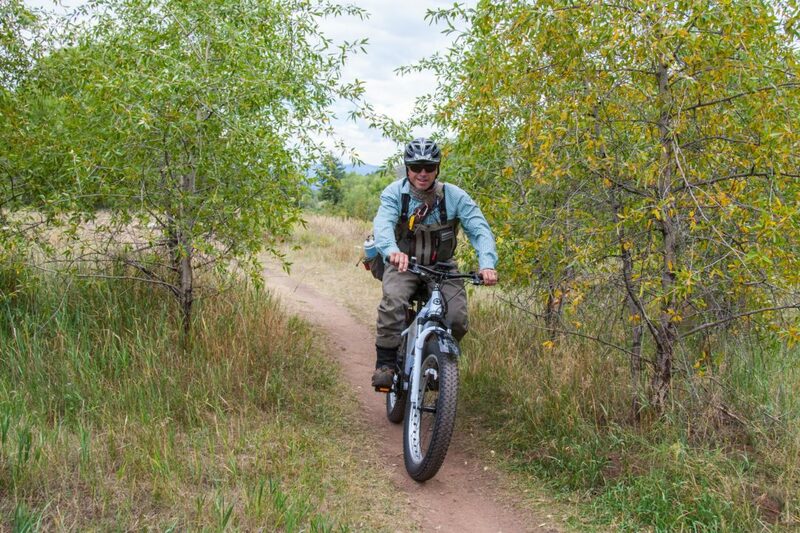 As the hatch winds down these mayflies cycle down in size to #18s and even #20. PMD nymphs live in gravelly riffles and are a brownish rust color. There is no better imitation than a classic pheasant tail nymph. A flashback adds realism just prior to the hatch and a pattern like the Quasimodo Pheasant Tail, which is tied on a curved hook accurately depicts how the nymphs drift and swim towards the surface where they will hatch into flying adults. As the nymphs slowly break the surface and begin riding the currents while their wings dry, trout begin to focus their feeding efforts towards the abundance of easy meals floating above. PMDs hatch at a leisurely pace and stay on the water for quite a while before flying off. Because of this and the steady flow of slow moving targets, this hatch in particular gets trout in very predictable feeding patterns. They will regularly rise at specific intervals in their chosen feeding lane. A good drift with an appropriate floating PMD pattern will rarely be refused. 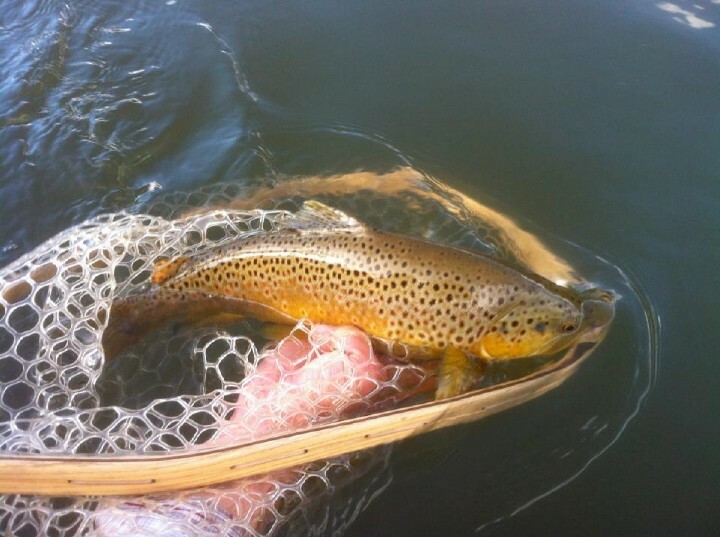 A Melon Quill, Orange Parachute or Patriot dry fly are a few good choices. For more information on PMDs check out http://www.west-fly-fishing.com/entomology/mayfly/pmd.shtml or get a copy of Western Hatches. The PMD hatch around Vail occur while other good hatches are occurring. Tan Caddis, Green Drakes and Yellow Sallies can be on the water and in the air at the same time as PMDs. It can interesting to figure out if the trout prefer a certain insect or are eating everything that drifts by. This is all happening during what is the best dry fly fishing of the entire year in our area. While it is our busiest time for guiding it is also probably the best few weeks to get on the water. 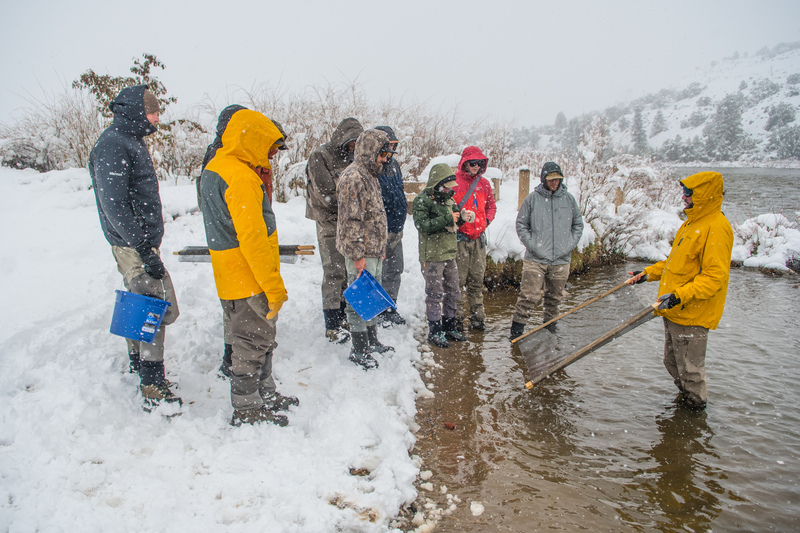 Book your guided fly fishing trip in July with Vail Valley Anglers well in advance to experience wild trout rising steadily during the Pale Morning Dun hatch.